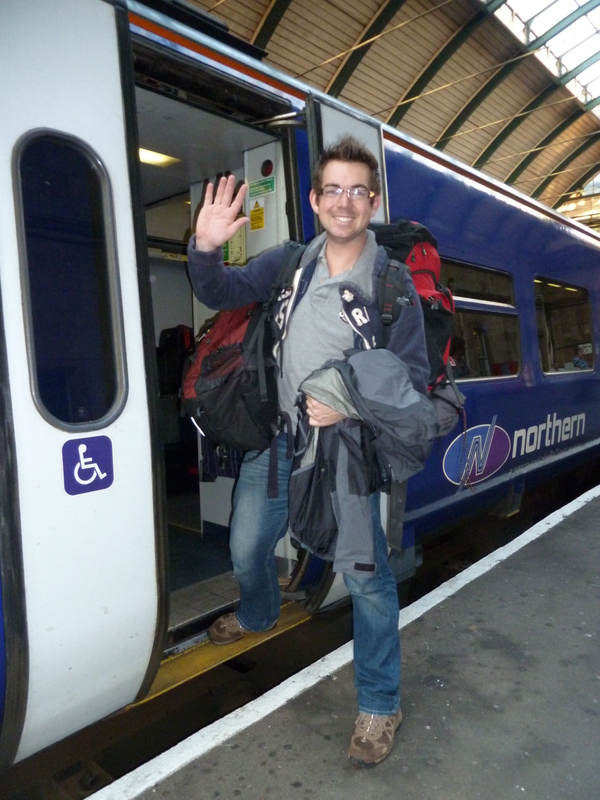 Afishoutofgrimsby is the blog of Phillip Norton, who for seven months has swapped reporting on stories for the BBC across Yorkshire and Lincolnshire for a life strapped to a backpack in a journey of adventure around the world. Originally from Grimsby (hence the title!) I made a resolution at New Year that this, my 30th year, would be a year of excitement and discovery. Inspired by some shorter trips and some very special people im lucky to have as friends, the plan is to share some of my experiences on here, which will also act as my diary. The journey begins in Hull, taking in Moscow, before the Trans-Siberian railway takes in Mongolia and China. Then there’s a tour of south-east Asia, including Thailand, Laos, Cambodia and Vietnam, before a hop over to Australia, New Zealand, Fiji and the west coast of America. Im a keen photographer and looking forward to sharing some shots, and although i’m a former newspaper journalist, its my first attempt at blogging – it’ll be rough round the edges at first i’m sure, but hopefully you’ll enjoy reading it! We shall all really enjoy following your adventures! Have a fantastic time and don’t forget, we’ve got your back! Ok I’m hooked Phil! Keep up the scribbling. Don’t od on noodles! You shouldn’t have scrimped on the supermarket own brand noodles Phil…. big mistake!! They normally taste dusty! Cheers Matt, great to hear from you and Paul! Glad its entertaining you as much as it is me exploring and writing about it all! It is starting to feel a bit more real now, thankfully met some great guys over the last week or so and its made life a lot easier and more fun. As for the beard…there’s always time!! Haha!! Cheers Tom, hope you’re well! Great to hear from you and thanks for the encouragement! Glad the stories brightened up your evening – wait till you hear about crossing the China border and what they had to do to the train…you’ll enjoy it! Problem is its really hard to upload anything at the moment due to web restrictions…something to do with the Government or politics here or something?! Haha! Stumbled upon your blog Phil and just wanted to say i love reading it! its exactly what im doing in september, (hopefully minus the ilness and the bike crash :D) rock on man! cant wait for the next installment! Thanks so much for the nice words and taking the time to drop me a line – always nice to know that people are enjoying it! Im struggling to upload regular posts at the moment as the internet where I am in Australia isnt great, but keep an eye on the site and hopefully there will be a few more in the coming days! If ever you need any advice for your trip, feel free to drop me a line.